Wanna know Who is Imran Khan the great? He was Born on 5 October 1952. Imran Khan is a Pakistani Politician former Cricketer. He is a current chairman of his political party called “Pakistan Tehrek-e-Insaaf (PTI)”. Determined to take Pakistan politics to the right path of justice and equality. 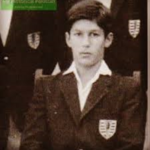 Education History: Imran Khan received his early education from Aitchison College, Lahore. Cricket started in his life very early. He started to play cricket at the age of sixteen where he started to play his first-class debut match and then selected for Pakistan cricket team in 1970 and became the permanent part of the team. After finishing his high school education from Royal Grammer School in Worcester, England, where he excelled in cricket. He went for further studies in Economics and Politics from Keble College, Oxford in 1972. Because of his athletic nature, he quickly became the captain of Oxford’s cricket team in 1972. In India in 1987, Khan led Pakistan to its first-ever Test series win and this was followed by Pakistan’s first series victory in England during the same year. 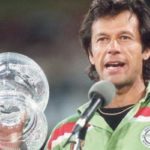 During the seventies, Imran Khan became a world-class ‘all-rounder’ and was awarded the captaincy of Pakistani cricket team in 1981. Imran Khan led Pakistani Cricket to a new level of greatness. He made Pakistan cricket proud when he proved himself the best ever captain who was able to live the beautiful Crystal trophy called “WORLD CUP” in 1992. He made a great team through his great leadership skills and taught them how to play for one thing that was for the proud of the country. All tram members even today never miss a chance to appreciate Imran Khan’s leadership qualities. 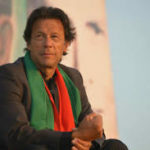 Imran Khan led Pakistan to numerous victories all over the world, and during his captaincy, Pakistan won the world cup in 1992. He was declared international cricketer of the year in 1989-90. His cricket career ended when he announced his retirement in 1993. Imran vowed to build a Cancer Hospital after watching his mother die from cancer, which made him think about how poor people coped during such difficult times. Since retiring from Cricket in 1993 Imran has been devoting his time in the setting up and running the Cancer Hospital. To raise the money he organized door-to-door collections, charity launches, and a Ramadan appeal. Shaukat Khanum Memorial Hospital opened in Lahore in 1996 and the press and television covered this happiest moment in Imran’s life. Today SKMT is one of the leading institutions for free cancer treatment in the world and has received international recognition. Currently, Imran Khan is building another cancer hospital in Karachi, using his successful Lahore institution as a model. Imran is also amongst a number of actors, artists, singers and sports figures who donate their talents to advocate for children on behalf of UNICEF as Special Representatives. He has used his international profile in cricket to support health and immunization programmes in Bangladesh, Pakistan, Sri Lanka and Thailand. In the year 2015 December. 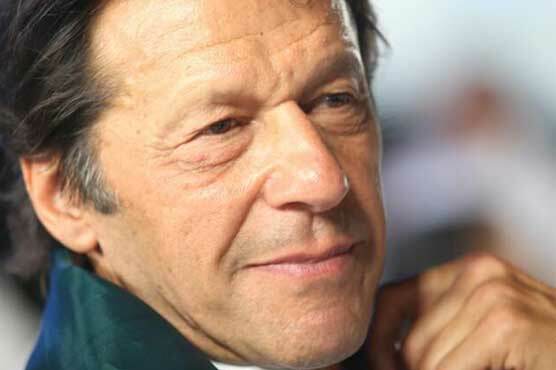 Bradford University in the UK appointed Imran Khan as their Chancellor and an ambassador of the University in the UK and overseas. 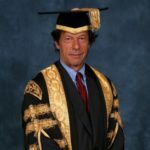 Imran Khan is the fifth Chancellor of the University of Bradford. His goal was to spread the importance of education in everybody’s life. He helped people to grow and know their rights. He started a technical college in Mianwali District called “Namal College”. 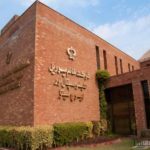 Namal College was built by the Mianwali Development Trust (MDI), as chaired by Imran Khan and then, later on, was made an associate college of the University of Bradford in December 2005. As a philanthropist and a Member of Parliament in the district, Imran has, under the umbrella of the Mianwali Development Trust (MDT), undertaken a number of initiatives to address the multiple economic and social challenges faced by the area. 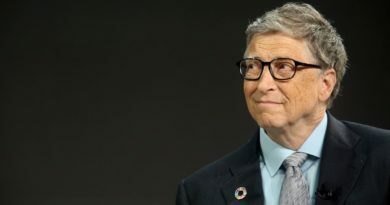 These challenges include driving improvements in literacy, community organization, health, access to credit, encouragement of corporate investment, and education. Imran Khan has the experience and drives to make Namal College a success story. His married life has always been so controversial and always in news. He married to a British-Pakistani journalist and campaigner Jemima Marcelle Goldsmith daughter of Sir James Michael Goldsmith, a member of the prominent Goldsmith family in 1995. They have 2 sons together and that couple separated in 2005 when Imran Khan refused to settle down in abroad with Jemima Goldsmith. He married again with Reham Khan in 2015 which ends in the same year of 2915. That married last for 9 months. After achieving a lot in life. Imran Khan started to think for his nation. Wanted and willing to do something for them. Because of bad governance and wrong policies of government. Pakistan was moving backwards day by day. The only way to change things in Paistan was through an Independence Judiciary. To fight corruption and bring the rule of law he formed his own political party, Pakistan Tehreek-E-Insaf (PTI) or Movement for Justice. The slogan of PTI is Justice, Humanity and Self Esteem. He represented Mianwali as a member of the National Assembly from November 2002 to October 2007. He became a hige part of 2013 general ellection where his partty was the runner up. His partty got governence in one state of Pakistan called “Kheber Pakhtun Khaw” (KPK). His achievments as the part of one state goverment is remarkable. He started many propjects in favour of Pakistan like a billion trees project and small water dams for electricity production. Making Islamic education compulsory in Schools and much more. He is playing a role of opposition party from 2013 elections and pointing out government weaknesses very effectively. Imran khan has been a true social worker and real patriot. He has shown to the nation the love and respect he has for them. His ideology of independent justice and complete freedom of speech will lead this country towards prosperity. Today PTI is the biggest party in the country and most likely to win the general elections of 2018. Imran Khan is the name of hard work, passion and never give up. He is simply the great one.